Sunday, June 11, 1 p.m. & 6 p.m.—RUTLAND—The Vermont Center for Dance Education is excited to announce its full-length ballet production featuring scores of local students ages 4 to 26. 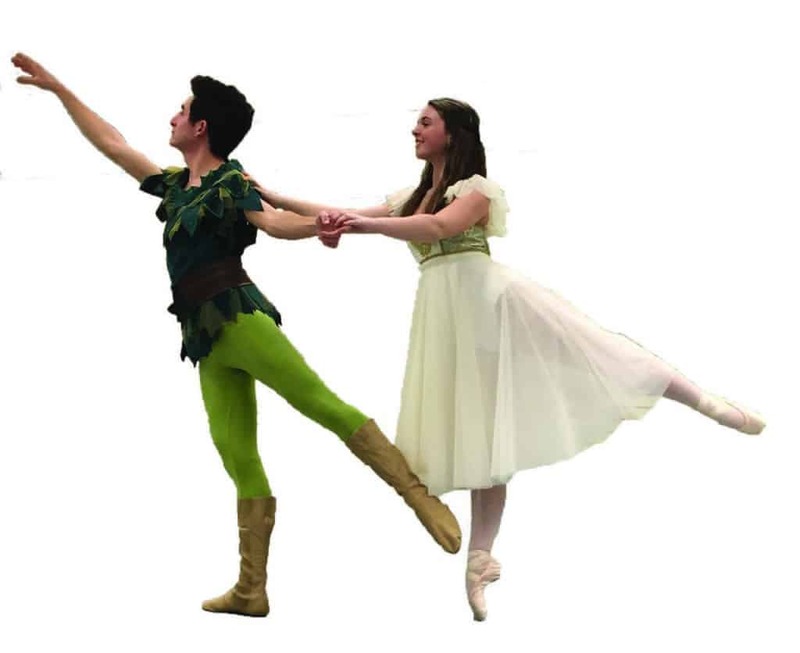 On Sunday, June 11 at 1 p.m. and 6 p.m. — after several months of preparation — the school will present “Neverland,” based on the story of Peter Pan, at the Paramount Theatre. As in past shows, this year’s production will be enhanced by colorful backdrops and masterfully crafted scenery. Furthermore, footage was created for the show that will lend a magical atmosphere to what promises to be a wonderful production, perfect for dance enthusiasts of all ages. The Vermont Center for Dance Education is under the direction of Stefania Nardi, who designed and created many of the costumes for this performance. A native of Italy, Nardi graduated from the teacher training program of the National Academy of Dance in Rome, and she’s certified to teach the American Ballet Theatre® National Training Curriculum from Pre-Primary through Level Seven. In addition to Stefania Nardi, the professional faculty of Vermont Center for Dance Education includes Zoë Marr Hilliard, who holds a B.A. in dance and sculpture from Smith College; Katye Munger, who holds a B.A. in video and television production and a minor in dance from Hofstra University; and Tegan Waite, who is currently pursuing a masters in education from Castleton University. Tickets are $20-$25 for adults and $15 for seniors and children under 12, and can be purchased online at paramountvt.org, by phone at 802-775-0903 and at the Box Office. The Paramount Theatre is located at 30 Center St., Rutland. Vermont Center for Dance Education is located at 217 Woodstock Ave., Suite G, Rutland.